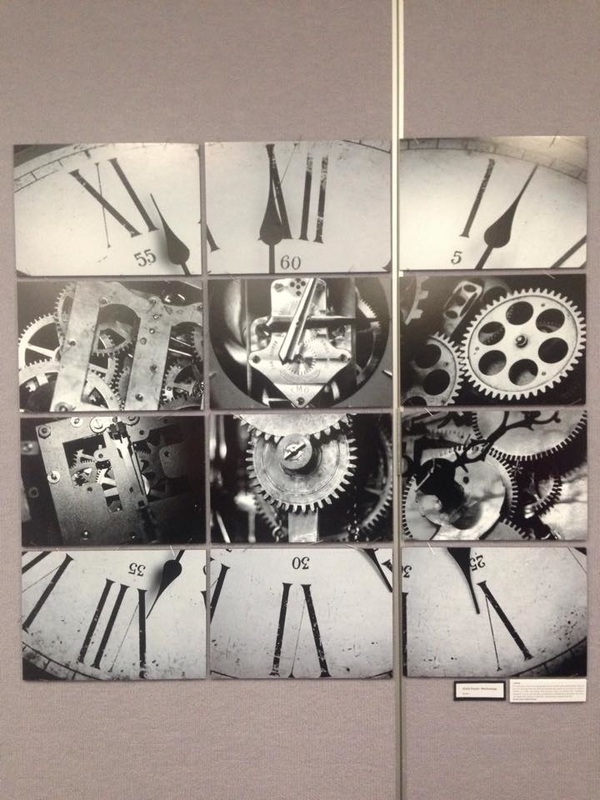 In 2015 two talented women visited us, one to take photo's for a school project, the other to collect horological parts to use in art. 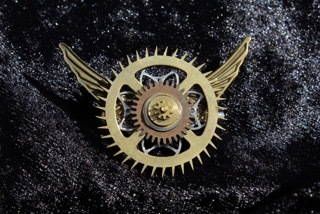 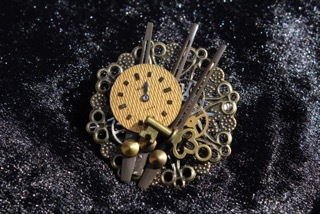 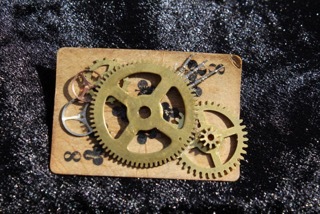 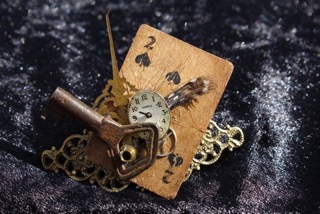 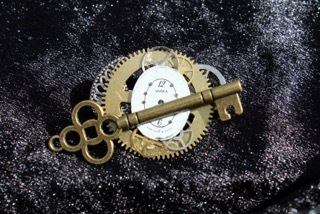 Ebony O'Brien recycled a number of clock and watch parts into pieces of wearable arts. 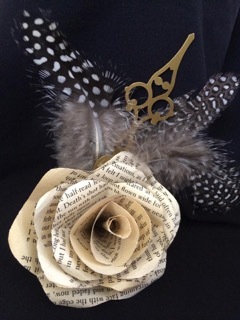 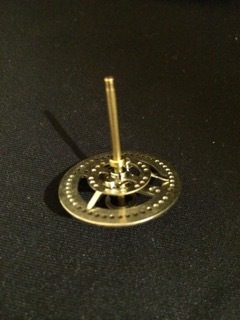 Among her creations is this fascinator, cuff links and a spinning top. 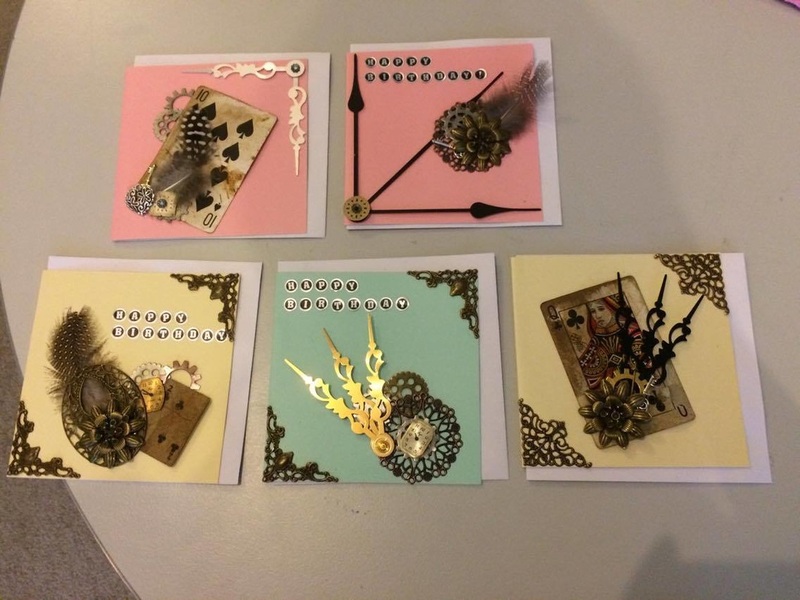 More to come from this talented young artist.